For those dreaming to sit in the lap of luxury, a trip to Rajasthan is the answer. 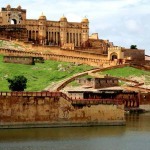 It is a land of raja-maharajas dotted with stunning and luxurious palaces. Offering first hand royal experience of the rich cultural heritage of the state, the palaces transport visitors to the glorious era of the royal kings. 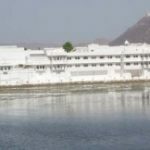 The palaces are built on hills, desert and even in the middle of lakes. The imposing facades of these royal structures will undoubtedly leave you stunned. The architecture of each palace has its own unique charm. Immerse yourself in the incredibly luxurious and royal aura of the palaces and make your holidays memorable. From Rajput to Mughal and European, the palaces of Rajasthan reflect superb architectural creativity.The interiors of the palaces are done to perfection. Most of the palaces have museums displaying the weapons, costumes, paintings and other belongings of the kings of the yesteryears. The moment you step into these royal structures you will feel as if you have entered a kingdom of a king. 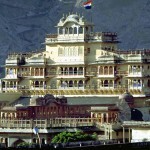 Some of the palaces of Rajasthan have been converted into heritage hotels to give tourists a real taste of royalty. The warm hospitality offered at these heritage properties is simply unmatched. 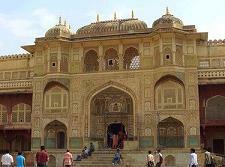 Located inside the fortified Amer Fort, the palace reflects the splendor of Mughal architecture. The huge complex of this palace encompasses several stunning structures housing amazing attractions. Located on a hill, the palace boasts of incredibly beautiful interiors. It houses several wonderful apartments, each having its own share of attractions to offer. It is like a poetry in white marble. Located in the middle of a lake, the palace is a great attraction. It has an amazing romantic aura. «Next Post Camel Safari In Jaisalmer- A Lifetime Experience!